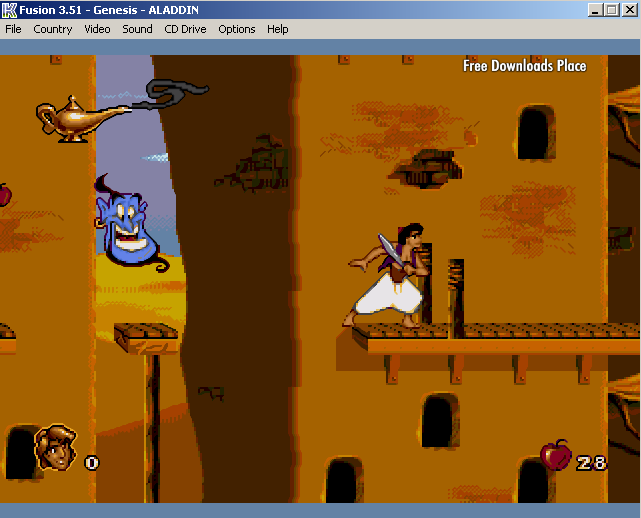 Use the sword to fight"
Aladdin is one of the greatest stories made into a successful film, which resulted in a lot of video game spin-offs. 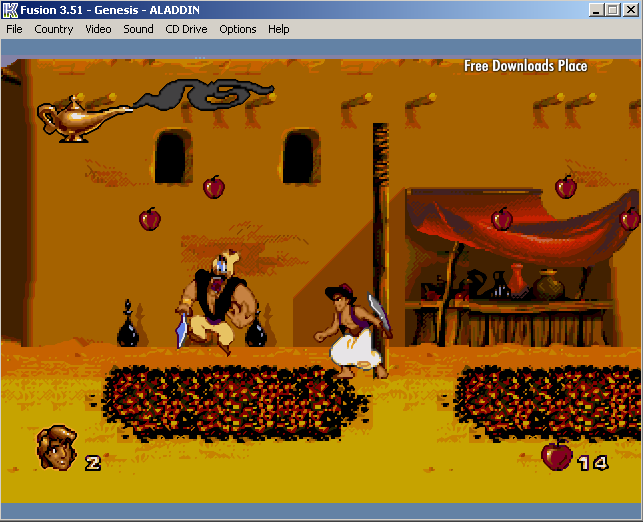 Aladdin 1.0 was released in 1993 and was an immediate hit as it brought back our favourite characters to our game room. 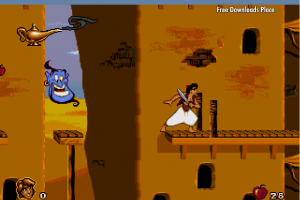 It is an old fashioned Mario-type game with jumping, fighting and defeating bosses to finally face-off against the antagonist, Jafar and save the princess. 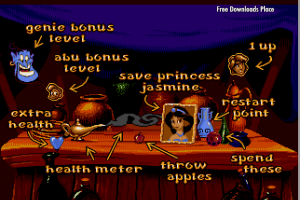 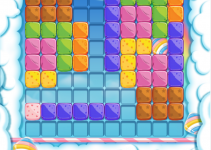 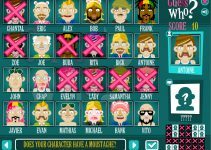 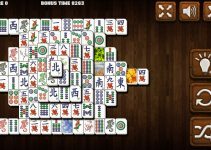 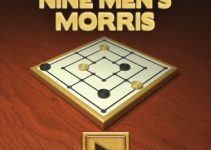 It has well defined levels and characters. 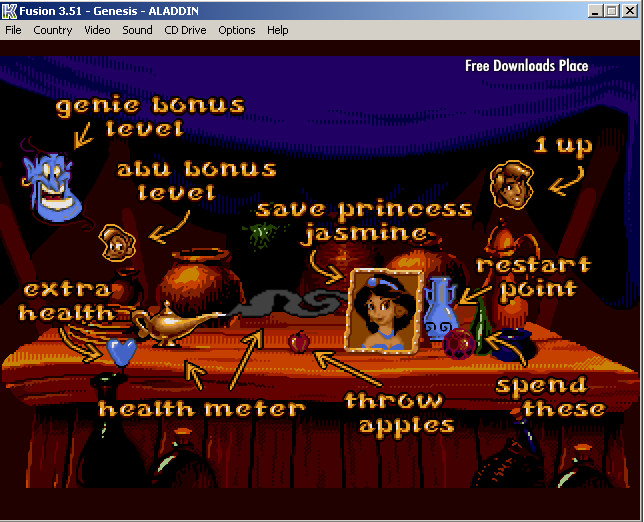 It has simple graphics and easy controls, so do not expect to a heavy consumption of hardware resources. 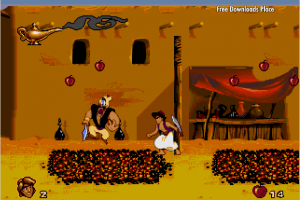 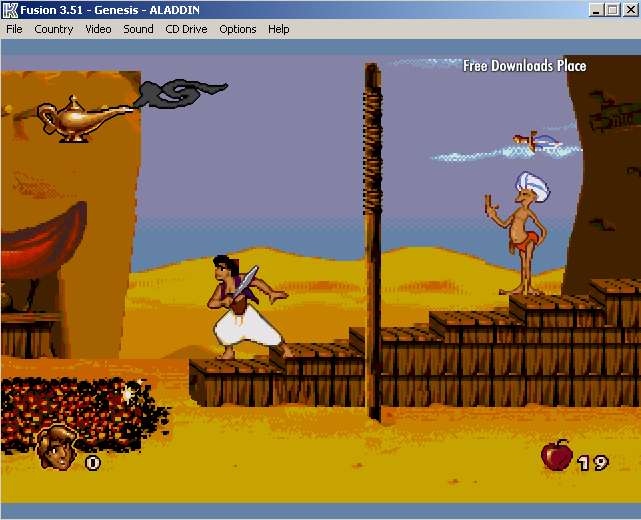 Aladdin 1.0 is licensed as freeware for PC or laptop with Windows 32 bit and 64 bit operating system. 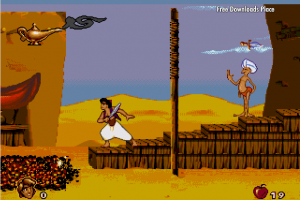 It is in adventure category and is available to all software users as a free download.